Despite its name, the Range Rover Sport is based on Land Rover's LR3. It is biased towards on-road handling with suppressed body lean, but lacks the sporty handling of some competitors. The Range Rover Sport is pleasant to drive. But its heavy weight hurts fuel economy and acceleration. 2016 Range Rover Sport TD6 | Why Buy? 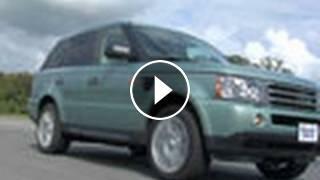 2019 Land Rover Range Rover - The SUV in Your Dreams!